Mars One has trimmed its list of prospects for one-way trips to Mars by a third, going from a pool of 1,058 candidates to 705. More than 350 hopefuls were eliminated due to medical or personal reasons, the Dutch-based venture said Monday in a news release. Candidates had been required to turn in a medical statement of health to go to the next stage of the selection process. 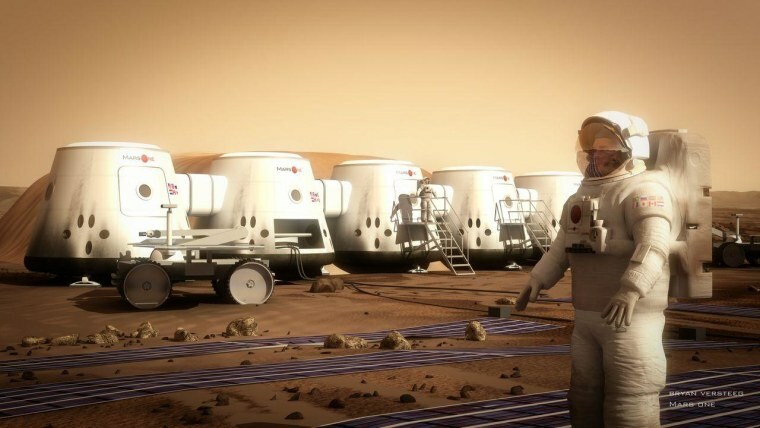 Mars One's chief medical officer, Norbert Kraft, said "the medical tests turned out to have a major impact on the candidates' lives, as some of them found out that they needed to undergo an operation, were sick and needed medical attention, or even had a malignant form of cancer that otherwise would not have been detected in such an early stage." The 705 candidates are aged 18 to 81, with 313 hailing from the Americas. These candidates are to be interviewed by Mars One's selection committee. Several teams of four will be chosen to undergo training for one-way missions to Mars, with the first launch set for as early as 2024. The plan calls for successive crews to set up a permanent colony on Mars. The multibillion-dollar cost of the project is supposed to be covered primarily by media deals and sponsorships for reality-TV programs focusing on the preparations for the Mars missions. The candidates paid an initial registration fee but are not expected to be charged for their training or flight. In this week's update, Mars One said it was still negotiating with media companies.